Athens, Greece (June 28, 2018) - InAccel Inc. (https://www.inaccel.com/), provider of FPGA accelerators on the cloud, announces today the completion of a 500,000 euros seed investment round by Marathon Venture Capital (https://marathon.vc/). InAccel will use the investment to accelerate product development and distribution of its flagship products across public cloud vendors. Emerging applications like data analytics, machine learning, and genomics are extremely computationally intensive and require a large amount of processing power. To face this challenge, warehouse data centers and cloud providers have recently started to adopt the use of hardware accelerators. Hardware accelerators, e.g. Field-Programmable Gate Arrays (FPGAs), speed up application processing and reduce energy consumption in data centers. Tech titans, in the likes of Amazon, IBM, Intel, Baidu and Alibaba, have been using FPGAs internally for some time and are now proceeding to host hardware accelerators in their marketplaces, in the form of Intellectual Property (IP) cores. Christoforos Kachris has spent his entire career in the field of FPGAs. He started at FPGA-pioneer Xilinx (NASDAQ:XLNX) and continued his research in FORTH and then at the Microprocessors lab of the National Technical University of Athens (NTUA). 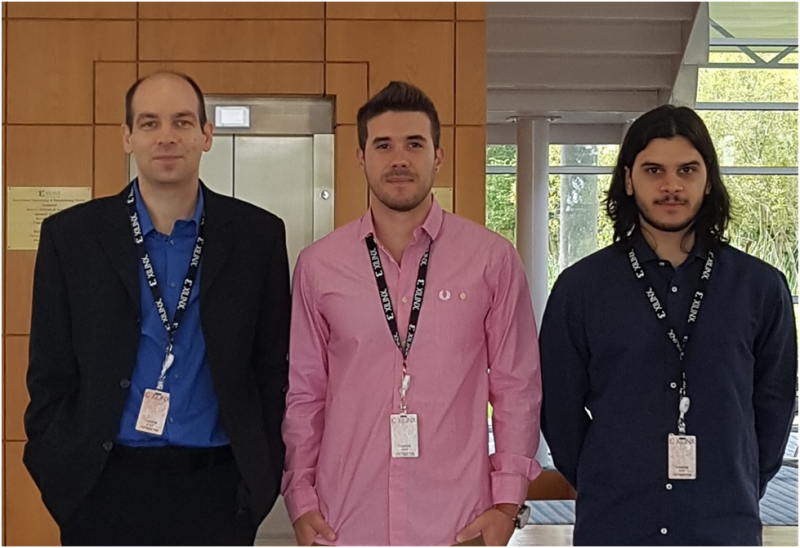 The founding team also consists of ECE NTUA graduates and researchers Elias Koromilas and Ioannis Stamelos who participated in the InventICT program that notably brings together academia and industry and aims to support and launch sustainable ICT companies. InventICT program is supported by the Institute of Communications and Computer Systems of the National Technical University of Athens (NTUA) and Industry Disruptors Game Changers (ID-GC) with the support of the Greek Mobile Operators Association (EEKT). InAccel has already deployed its first accelerators via the AWS Marketplace.